Holden Clough is an Inclusive School. We ensure that all our children are involved in all aspects of learning, and are challenged and motivated to reach their full potential. 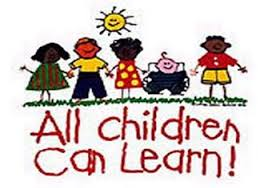 Children may need additional support to help them meet their learning needs. Our Local Offer details the range of provision and support available for all our children. Mrs Batya Howard is our Inclusion Lead and Special Educational Needs Coordinator (SENDCO). She is responsible for the operation of the Special Educational Needs policy and coordination of specific provision made to support individual children with SEND. Mrs Howard can be contacted on the school telephone number 0161 330 5248. Our Governor with responsibility for SEND is Mrs Bhav Choksi . Miss Joanne Hartley (Deputy Head Teacher) is our Designated Safeguarding Lead (DSL) and Mr Faik Kordemir (Head Teacher) is our Deputy Designated Safeguarding Lead. The Children and Families Bill takes forward the Coalition Government’s commitments to improve services for vulnerable children and support families. It underpins wider reforms to ensure that all children and young people can succeed, no matter what their background. The Bill will reform the systems for adoption, looked after children, family justice and special educational needs. The Government is transforming the system for children and young people with special educational needs (SEND), including those who are disabled, so that services consistently support the best outcomes for them. The Bill will extend the SEND system from birth to 25, giving children, young people and their parents/carers greater control and choice in decisions and ensuring needs are properly met. Replacing statements and learning difficulty assessments with a new birth – 25 Education, Health and Care Plan, extending rights and protections to young people in further education and training and offering families personal budgets so that they have more control over the support they need. Improving cooperation between all the services that support children and their families and particularly requiring local authorities and health authorities to work together. The Local Offer was first introduced in the Green Paper (March 2011) as “a local offer of all services available to support disabled children and children with SEND and their families. This information will set out what is available in schools to help children with lower level SEN Das well as the options available to support families who need additional help to care for their child”. Our local offer is to let parents/carers know how we can support their child and what they can expect from our school setting. We hope that the answers to the following questions asked by parents/carers will give you the information you need about our school. Initially speak to your child’s class teacher. Contact the school office to arrange an appointment with Mrs Howard (SENDCO). All children in school have a Personalised Assessment Folder. These are reviewed half termly at a one to one meeting between the child and the class teacher. Progress and next steps in learning are discussed and new targets set. Parent meetings are held each term where parents review the Personal Assessment Folders and discuss targets with teachers. Parents/carers are also informed each half term about their child’s progress, attainment and new targets. Every child at Holden Clough receives quality first teaching. This means that a wide range of teaching and learning styles are used and that appropriate learning objectives are set for all children with a curriculum matched to their needs. A child may be identified by the class teacher as needing some extra support in more specific areas for example, reading, phonics or numeracy. This specific one-to-one or group work may be run by the teacher or a teaching assistant who has had specific training. These interventions are reviewed half termly by all involved to ascertain effectiveness of the provision and inform future planning. A child may be identified by the class teacher/SENDCO as needing some extra specialist support from a professional outside the school. A referral will be made, with parental consent, and forwarded to the appropriate agency. After a series of assessments, a programme of support is provided to the school and parents/carers. If your child’s needs are complex or severe the school (or parent/carer) may request that the Local Authority carry out a statutory assessment of your child’s needs. The school has a duty to meet the requirements of the plan and may request additional funding from the Local Authority. Support for pupils with Speech and Language difficulties. Support for pupils on the autistic spectrum. Team teach - Behavioural Techniques and Strategies training. Talking Partners – a small group intervention designed to improve speaking and listening skills and supporting children, including those for whom English is an additional language, to become more confident and independent communicators. Talking Maths – a small group intervention targeting speaking and listening skills and supporting children, including those for whom English is an additional language, to learn how to use mathematical vocabulary. Numicon Intervention Programme – a one to one intervention designed to close gaps and improve mathematical skills. “What support can the school access from outside agencies?" SALT - Speech and Language Therapist. CLASS – Communication, Language and Autistic Spectrum Support. BLIS – Behavioural for Learning and Inclusion Service. EMAT – Equality, Multicultural and access team. CAMHS – Child and Adult Mental Health Service. Early Help – A team to support the whole family. Educational Psychologist – To observe and assess children whose needs have not responded to the interventions put in place for them. If a child has a medical need then a Medical Care Plan will be written in consultation with parents/carers, the School Nurse and the relevant health care professionals. The Medical Care Plan will be reviewed, at least, annually in September, or whenever appropriate, to meet the needs of the child. All staff are made aware of the plan and the procedures they need to follow. Where necessary, and in agreement with parents/carers, medicines can be administered in school where a signed consent form is in place. See “Policy for Managing Medicines”. Members of staff such as the class teacher, teaching assistant and SENDCO are readily available to children, who wish to discuss emotional issues and concerns. As a parent/carer with concerns about your child please speak, initially, to their class teacher before or after school or contact the school office to make an appointment. If you have further concerns, please do not hesitate to contact Mrs Howard (SENDCO) via the school office. Children who find lunchtime a challenge are supported by our Lunchtime Supervisor Mrs Angela Woodward and her team of lunchtime assistants. Our designated First Aiders, Mrs A. Woodward, Miss S.Jones and Mrs A. Stubbs, Miss G Dobson, Mr A. Porter are also trained in Paediatric First Aid. 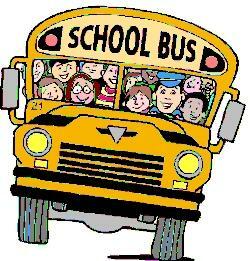 Activities and school trips are available to all children. 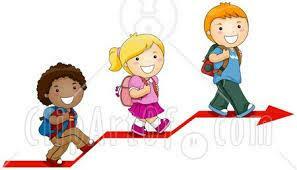 Detailed risk assessments are carried out by Class Teachers and preliminary visits made. Procedures are put in place to enable all children to participate. "How accessible is the school environment?" Our school building is full accessible and meets with the New Build Accessibility Regulations. The school has accessible toilets for staff and visitors. "How will Holden Clough support my child when joining the school or transferring to a new class or to High school?" Open days and evenings are arranged for parents/carers and children before they join our Nursery and Reception classes. One to one meetings between parents/carers and the teacher are arranged to discuss needs. Where a child has more specialised needs an extra meeting is arranged between parents/carers, Mrs Howard (SENDCO) and other relevant professionals. Mr Faik Kordemir (Head teacher) and Mrs Howard (SENDCO) are always willing to meet parents/carers prior to their child joining school. All children spend a transition day in their new classroom in July where they meet their new teacher and teaching assistant. Parents/carers are invited to meet teachers at the end of the transition day. High School Staff visit school and liaise with our staff prior to the pupils’ visits on Transition Days. Where additional visits would benefit the pupil, either between classes or to their new High School, these are arranged. The SEND budget is allocated each financial year. The money is used to provide additional support or resources dependent on an individual’s need. The additional provision may be allocated after discussion with the class teacher at pupil progress meetings or if a concern has been raised at any time throughout the year. "How will I be involved in discussions about and planning for my child’s education?" All parents are encouraged to contribute to their child’s education through discussions with the class teacher. Parent meetings are held each term where parents review their child’s progress and discuss new targets with teachers. Personal Assessment Folders and individual programmes of support will form the basis for this discussion. For further information or feedback you are very welcome to make an appointment with the Head teacher or SENDCO. Appointments can be made through the school office.